This rich anthology grounded in ecopsychology contains contributions by authors who study nature, place, land, and Earth up close with tools from a variety of disciplines, including qualitative research, naturalist exploration, philosophy, mythology, and even poetry. By closing the gap between self and world, these essays show the reader how to feel the presence of landscapes, creatures, and things inwardly, an experience that transforms how we regard the world around us. 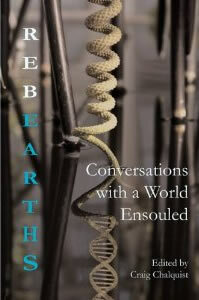 Join Depth and Terrapsyhologist Craig Chalquist on an enlivening quest of reconnection with the Earth and its inhabitants. Enveloped by myth, story, landscape, and soul, chapter in this rich anthology invites us to weave seemingly disjointed worlds and engage our human imagination in ways that foster a sense of reverie and belonging in Nature. 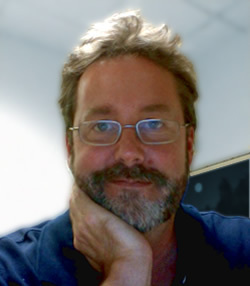 Craig Chalquist, Ph.D. is a core faculty member in East-West Psychology at the California Institute of Integral Studies and a former core (but still adjunct) faculty member in the Department of Consciousness & Transformative Studies (College of Graduate and Professional Studies) at John F. Kennedy University. He is also an academic adviser and adjunct faculty at Antioch University, Prescott College, and Pacifica Graduate Institute and the online General Psychology instructor for College of the Siskiyous. Dr. Chalquist has worked as a family therapist, conflict resolution facilitator, lecturer, and group facilitator. He earned his PhD at Pacifica Graduate Institute, where he studied depth psychology with an ecological approach. A thesis adviser, dissertation coordinator, and research director, he has taught depth psychology, ecopsychology, family therapy, couples therapy, brief therapy, theories of therapy, theories of personality, social science research, history of psychology, Jung, William James, dream analysis, transpersonal psych, Systems Theory, and mythology at six Bay Area schools. While working as a therapist he spent six years providing group counseling for men and women referred for mandatory therapy. Craig is a Certified Master Gardener through the University of California Cooperative Extension, where he also earned a certificate in Sustainable Landscaping and also holds a certificate in Permaculture Design.